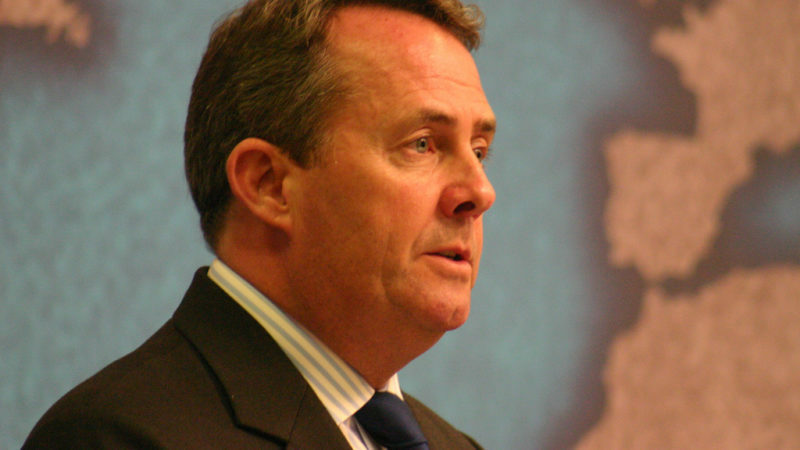 Was Liam Fox’s consultation on the Brexit Trade Bill a sham? The government's consultation on a crucial Brexit bill closed a matter of hours before Ministers were announcing the final document on the airwaves. Question: When is a consultation not a consultation? Answer: When there is no time for the responses to be considered. Last night, the consultation on a new Trade Bill for Britain to steer through Brexit closed. Yet at 7:10 this morning, trade Secretary Liam Fox went on Radio 4’s Today programme to effectively launch the Bill, which is being laid before Parliament today. Just before 4pm it was published. They’re quick writers at the Fox’s Department, clearly. But there is a serious point: the Minister and his Department for International Trade appear to have not only preempted the consultation responses. There is simply no chance they could all have been fairly considered. This is a hefty and significant piece of legislation – to which everyone from the CBI to the TUC, car companies to Unison submitted responses. How could those voices from civil society be heard if the Bill was already being drafted? And are organisations which deserve and need to be heard on Brexit now of the view this was a sham consultation? 1. Create powers to assist in the transition of over 40 existing trade agreements between the EU and other countries. Campaigners War on Want handed in a detailed response to the government’s consultation. But they now feel it was certain to be ignored from the start. “It’s clear from the decision to launch the trade bill within hours of the government’s consultation closing that it has utter disdain for public opinion. Thousands of people took the time to respond to the government’s call for input because they care about transparency and democracy in this country – we would like to know what Mr Fox has to say to them. More than 2,000 War on Want supporters submitted responses to the Department for International Trade. What are they supposed to think now? The Department for International Trade did not immediately respond to request for comment. This Government, consult the People? Perish the thought! There will be no smooth transition from UK being part of the EU’s trade deals with other countries. The idea is predicated on a falsehood. The UK will be a small fraction of the potential market generated by the whole EU and there is no such thing as free trade – it is all about economic power. So when the USA comes to discuss the ‘transition’ the UK will be as a relatively small partner and as there is a substantial surplus in trade with America currently they will be looking to even up the position with the UK having to make trading concessions across the board. It is a great pity that for his disgraceful shenanigans with Werritty Fox was not put before the courts on charges of Misconduct in a Public Office and/or Official Secrets Act offences. This man is thoroughly corrupt and dishonest and should not be in any public office.